This programme is tailored made for retail bankers, guiding them through the key principles and application of Islamic retail banking market. 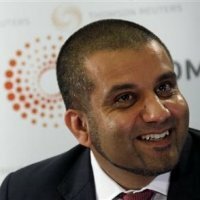 I have worked in islamic banking and have set up and established the businesses at UBS, Credit Agricole and most recently at JP Morgan where I was Global Head of Islamic Structuring. My experience comes from creating and structuring Islamic transactions, and executing them, across capital markets (debt and equity), investments & funds, all kinds of financing, treasury/risk management, hedging, and also derivatives where applicable and allowed. I have established my own firm recently and also am active in lecturing and training in Islamic finance and banking globally.